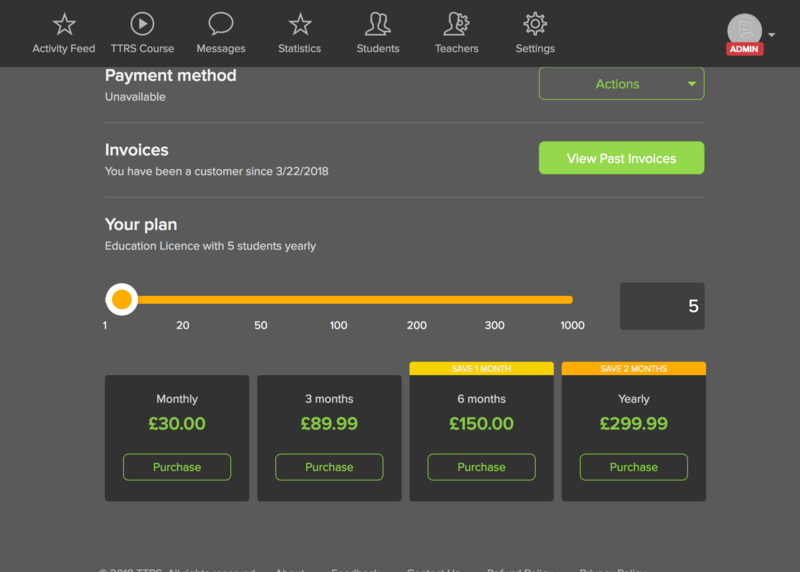 You can add more students to your account instantly and pay for them later using a Purchase Invoice. 2. 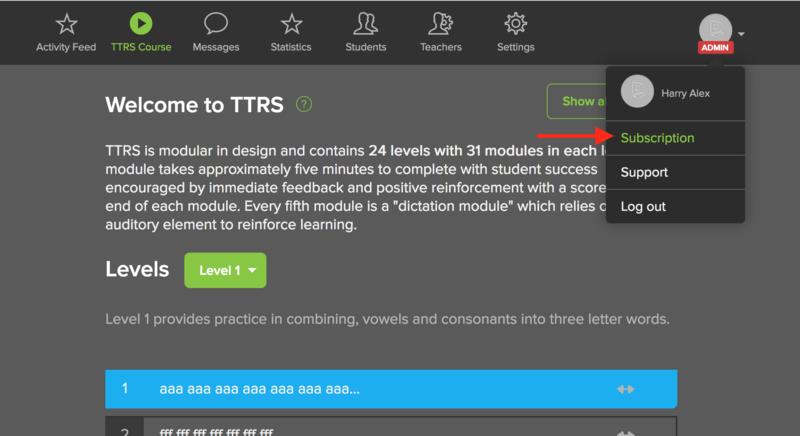 Use the slider to increase the number of students, or enter a new number in the box to the right of the slider. 3. 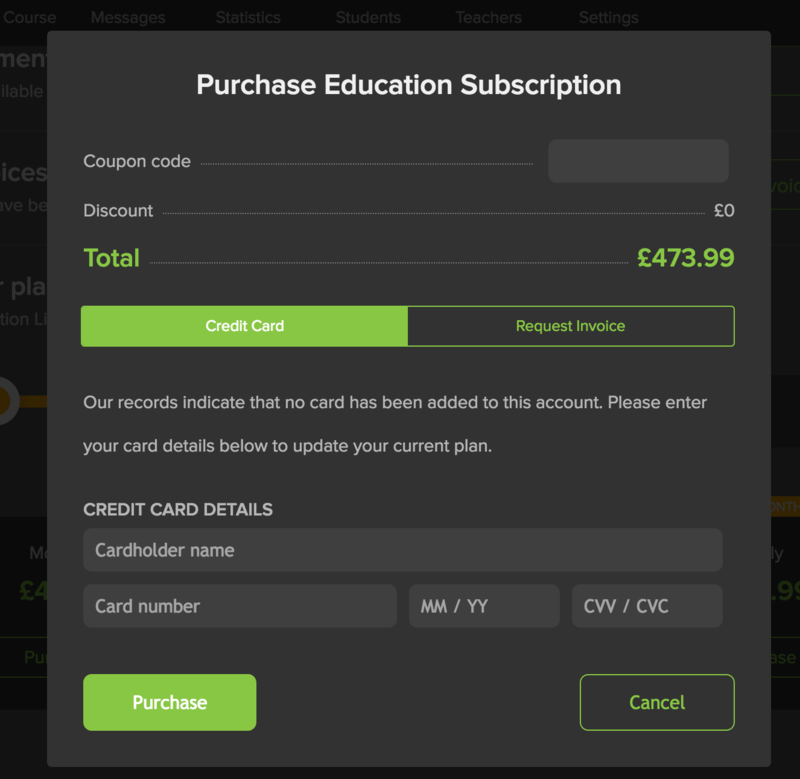 Click Purchase on the Yearly menu if you have an annual subscription. 5. Click Purchase at the bottom of the screen to complete your purchase. The extra students will be available to use straight away.